Black streams are defined as underground water veins, which become polluted due to stagnant stream, giving rise to Negative Energy. 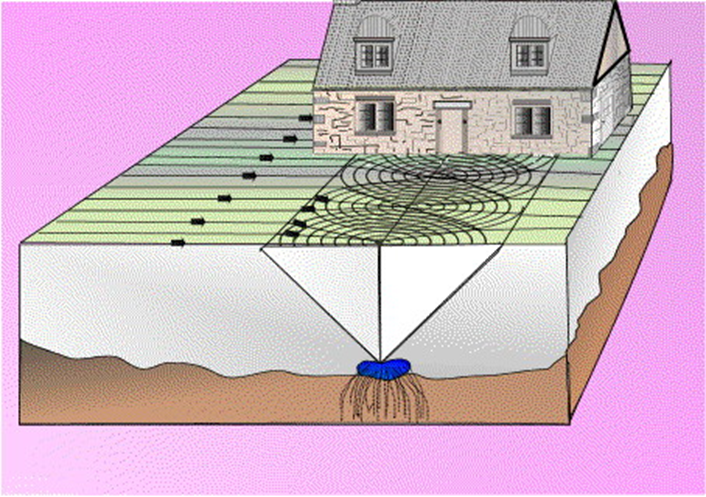 These harmful radiations rise vertical upwards from the underground and cause 45 degree wide spirals where they hit a ley line at the surface of earth in a vertical plane.Underground water veins are good but sometimes create a big problem when water channels are under our bed or work table. 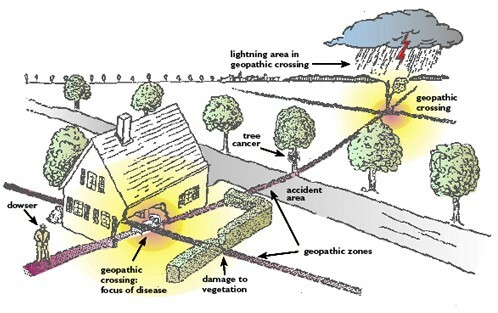 Path over Black stream include infertile fruit trees, dead or stunned gaps in hedges, lawn with bare patches etc. Animals instinctively clues to avoid spending time over Black stream instead they prefer to gravitate over white streams (ie. Healthy and free flowing earth meridians). By measuring and tracing water flux of contaminated and harmful underground water sources, one can eradicate health problems caused due to such underground sources.